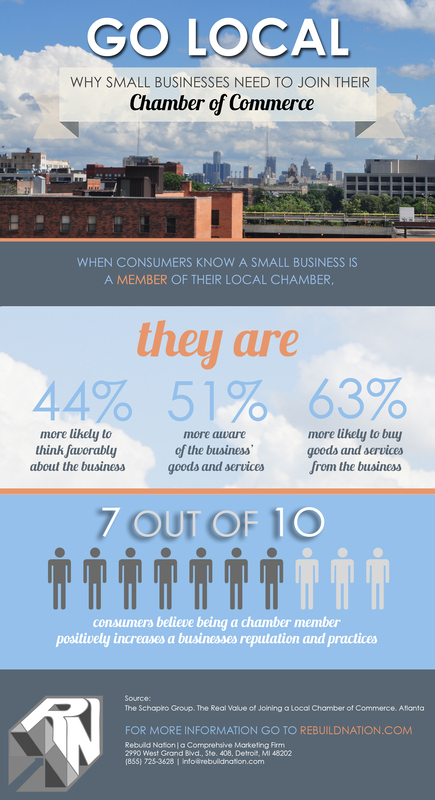 One of the most efficient and cost-effective decisions a small business can make is to invest in their community by joining their local chamber of commerce. 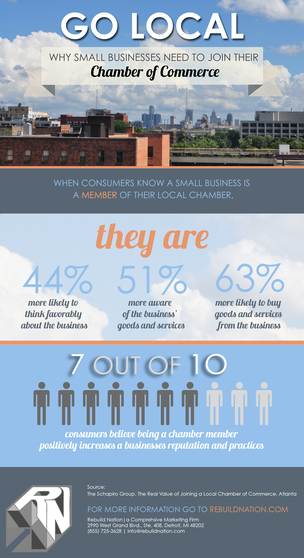 Analytically, being a member has a drastic impact on both the visibility and credibility for small businesses. Members also gain access to networking opportunities, member-only information and a surplus of other values, which vary from chamber to chamber. Incredibly, a study done by the recently retried Schapiro Group found that, “When consumers know that a small business is a member of [their] chamber of commerce, they are 44 percent more likely to think favorable of it and 63 percent more likely to purchase goods or services from the company in the future.” While it’s not surprising that a positive trend appears when consumers are aware that a business is a member of their chamber, the strength of these values are. Again, there is a positive correlation with consumer favorability (44 percent increase in rating), customer awareness (51 percent increase in awareness), local reputation (57 percent increase) and again, and probably most importantly, an increase in the likelihood that these consumers will purchase a small business’ goods or services (63 percent) in the short future. These numbers cannot, and should not, be ignored! Beyond exposure, being a chamber member comes with added networking perks. While these incentives will differ from chamber to chamber, the intrinsic value remains the same. Your business will be better positioned communicate and utilize resources designed to help you grow. The goal of these chambers is to create a thriving environment within the community by investing in their businesses, your business. Yes, there are dues and it is an investment, but like all business ventures you should weigh the good with the bad and in this case it’s pretty clear. From a marketing perspective, it is important to realize that your business will only benefit based on your involvement and visibility. Simply joining, paying a month’s dues and taping a sign to your storefront is not enough. Start by attending events, making contacts, ensuring that your marketing pieces — online and print — emphasize your membership. Being active and making sure your potential clientele know you’re a chamber member are the best ways to see an ROI from your membership. It’s up to your local chamber to provide you with the means to help your business, but it’s up to you to maximize how you use them!